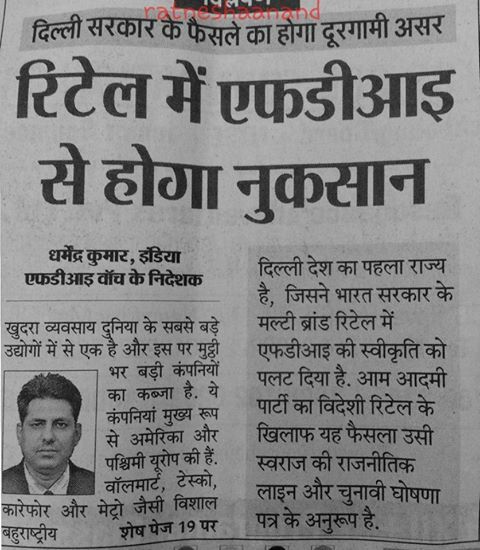 Article on Delhi Govt. 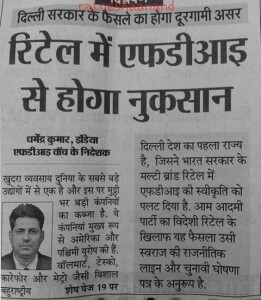 decision to ban FDI Retailers, published on 19 Jan 2014 by Prabhat Khabar, a Hindi daily. Delhi became the first Indian state to reverse the policy of allowing FDI in multibrand retail. The newly formed Delhi govt. of Aam Admi Party (AAP) has written to the Department of Industrial Policy and Promotion (DIPP) asking it to remove Delhi from the list of states which have conveyed their agreement to the policy of FDI in multibrand retail. cash & carry wholesale stores in Delhi. Rajasthan, another major state of India is likely to follow the suit. reverse the policy decision to allow FDI retailers in Delhi. 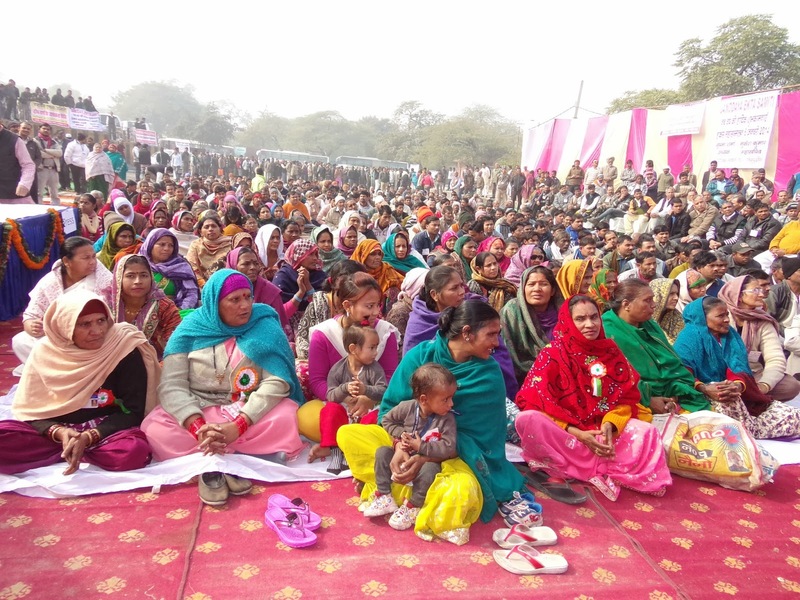 One can submit comment by 30th January 2014. Comments can be sent to Mr. Ishtiyaque Ahmed, Director, Department of Industrial Policy & Promotion, Ministry of Commerce & Industry, Udyog Bhawan, New Delhi and his email is ahmed.i@nic.in.